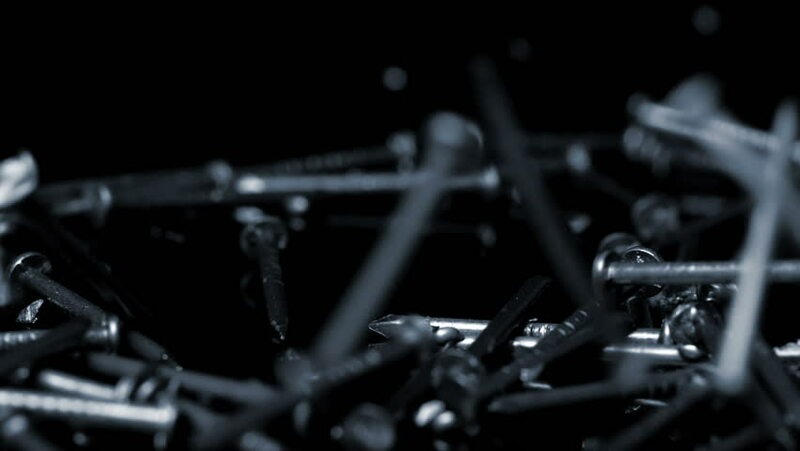 Steel nails falling over black background. Slow motion. hd00:24Old milling machine in action. Rack focus. hd00:05Gym. A Sporty brunette in dark.takes Sports Equipment.